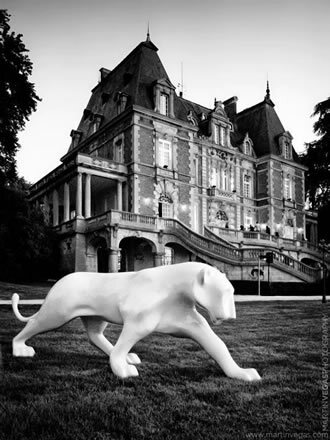 The launch of this series of events took place at Château Bouffémont and its spectacular gardens, near Paris. This one-day event consisted of a rich art exhibition of 20 artists with the opportunity to absorb the atmosphere full of artistic talent while enjoying the social gathering of a cocktail dinner. Then, the evening continued with an "After-Art Party" with special shows and performances of reputed DJs to celebrate the milestone of this series of events.